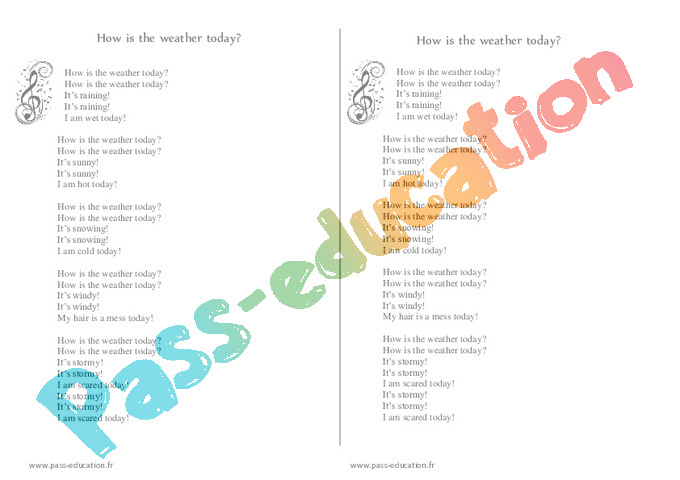 Titre de la séquence : What’s the weather like today ? 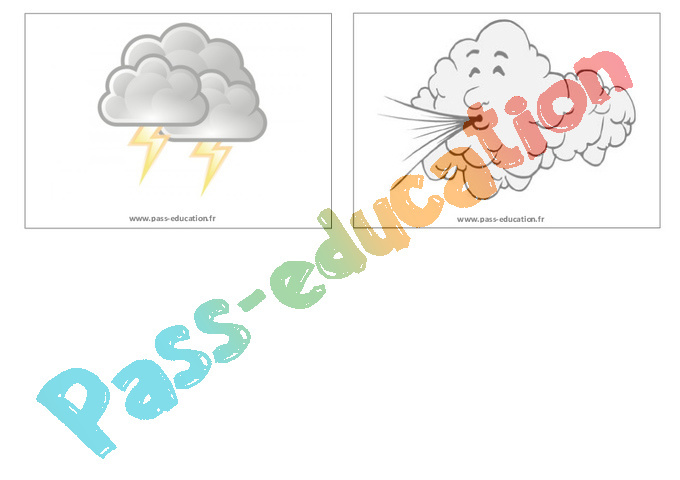 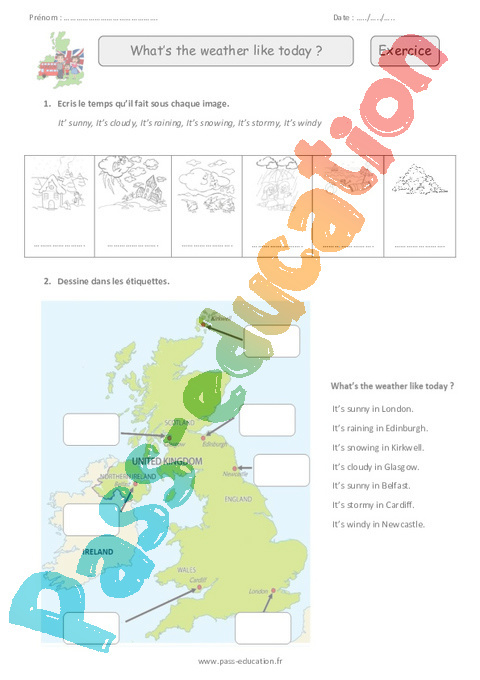 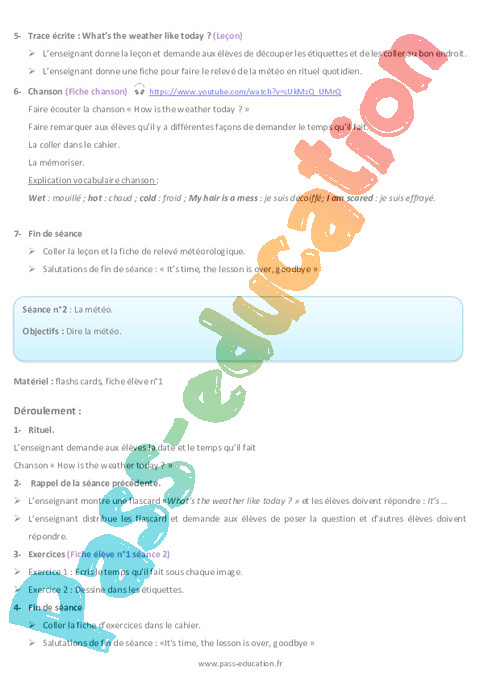 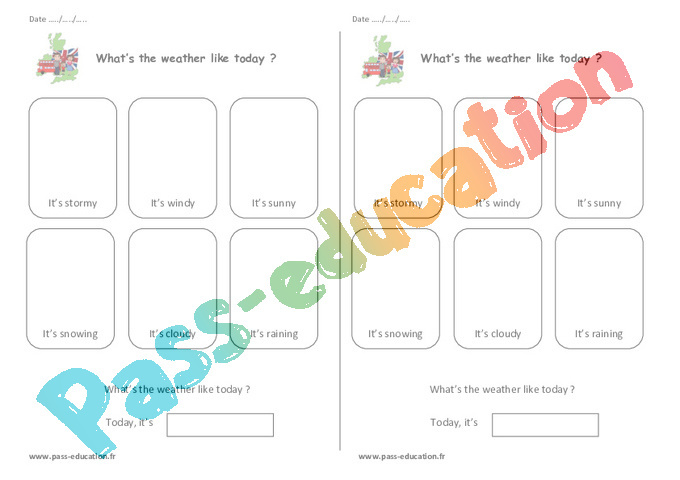 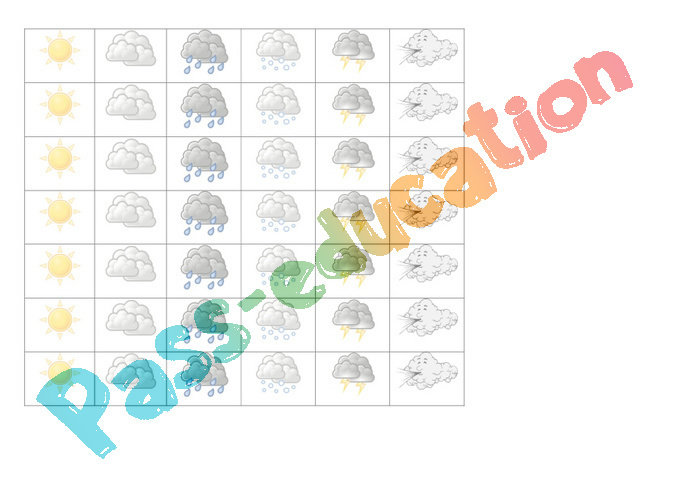 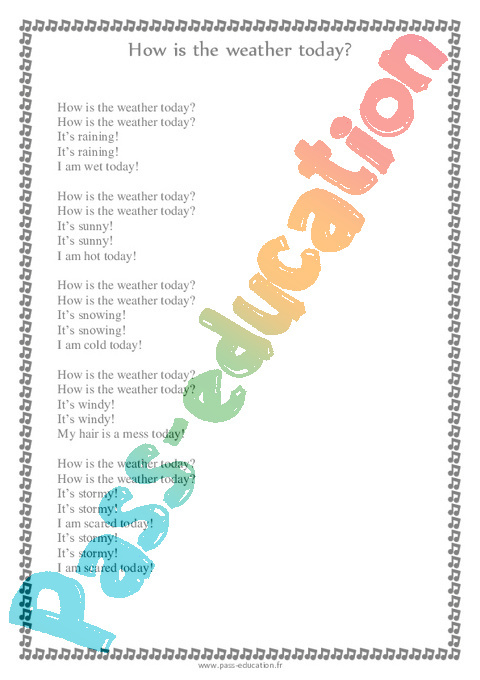 Vocabulaire et expression : What’s the weather like today ? 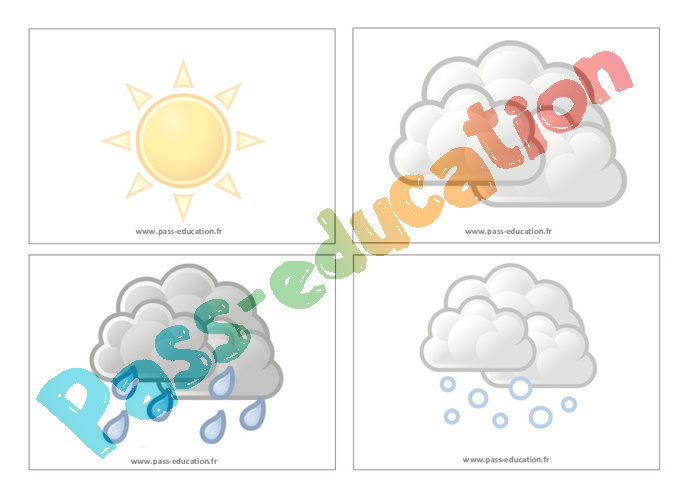 It’s sunny, It’s raining, It’s cloudy, It’s snowing, It’s windy, It’s stormy, cold et hot. 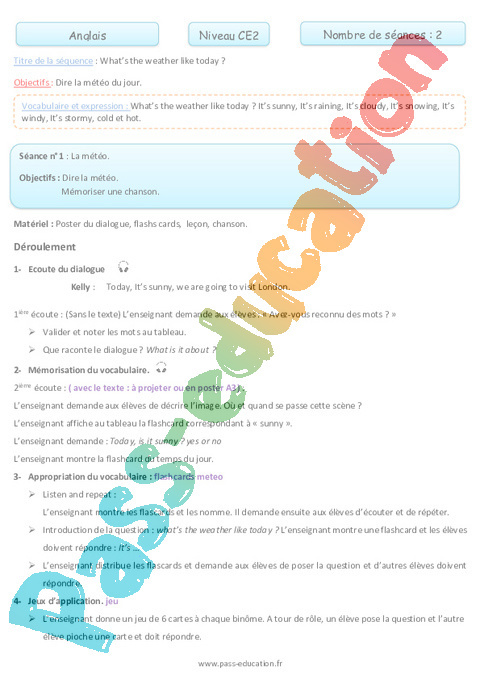 Objectifs : Dire la météo du jour.